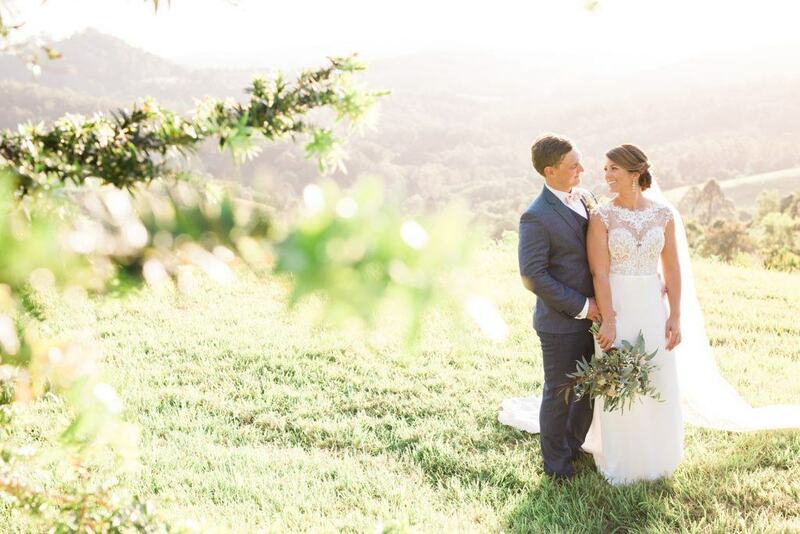 There is nothing as perfect as a glowing bride on her wedding day. 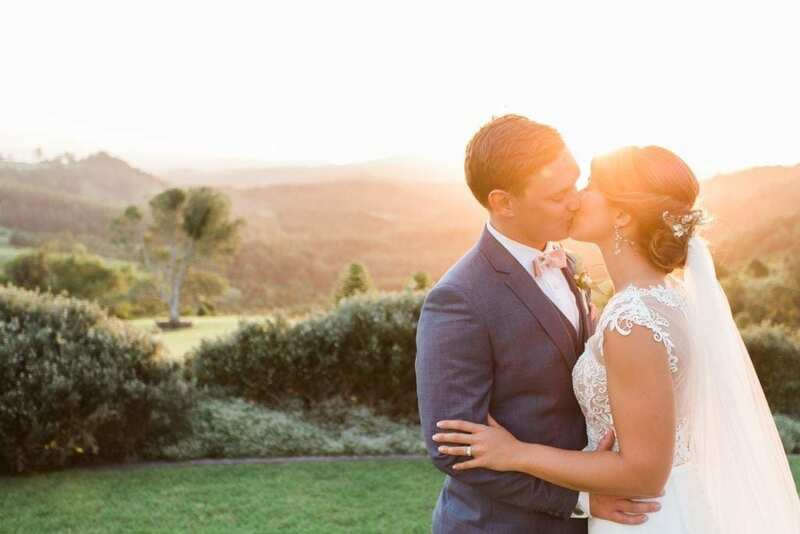 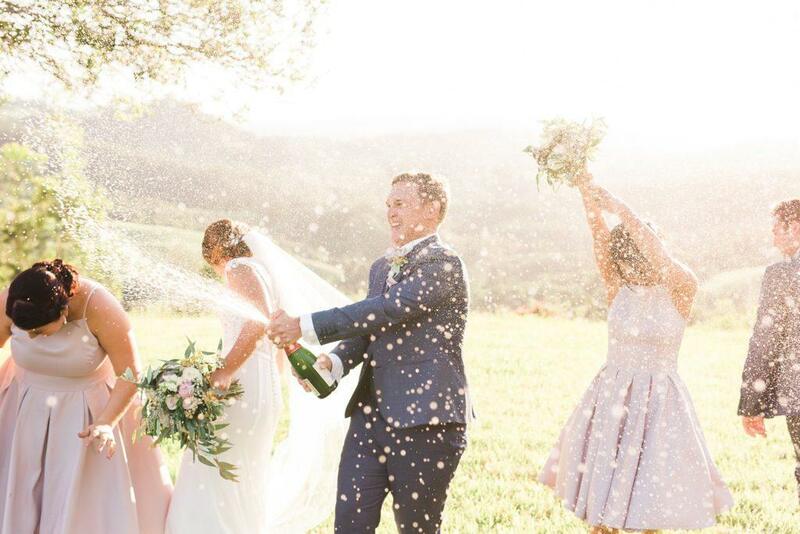 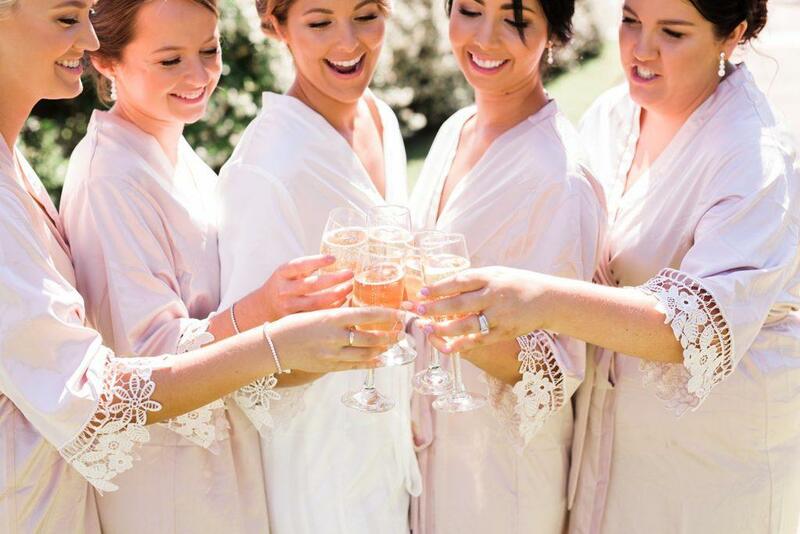 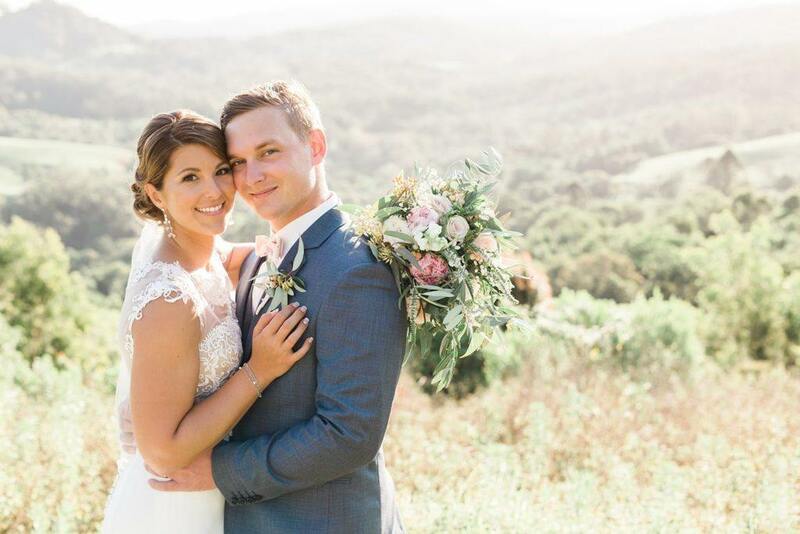 Our Nadia is no exception and her hinterland wedding is like a dream up in the clouds! 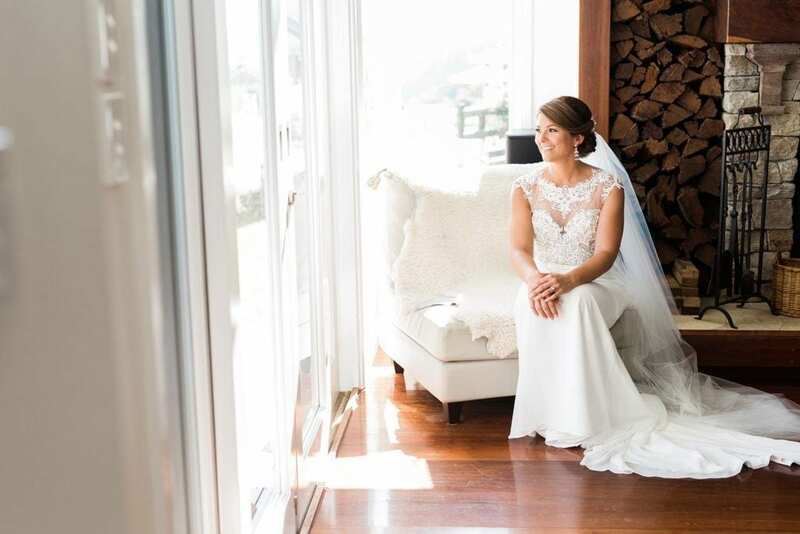 This gorgeous bride wears Florence by Mori Lee – a fitted chiffon gown with detailed lace bodice and sheer back detailing. 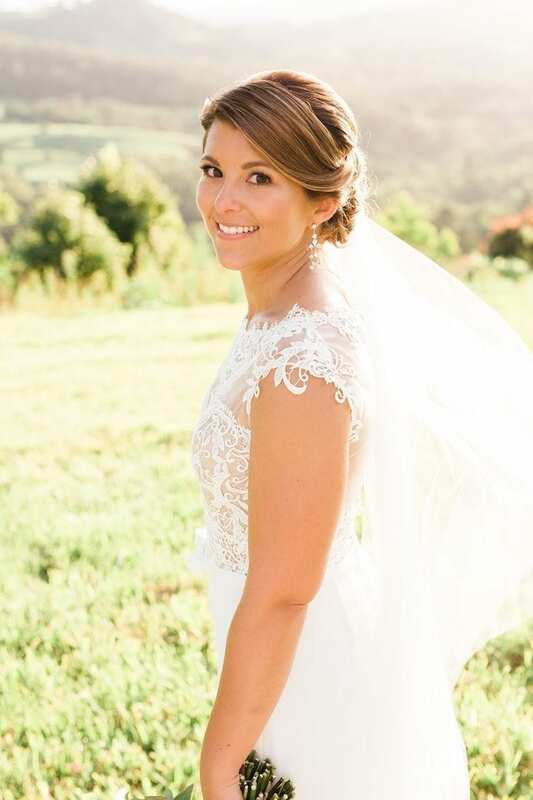 The intricate bodice is contrasted with a luxurious, modern crepe skirt. 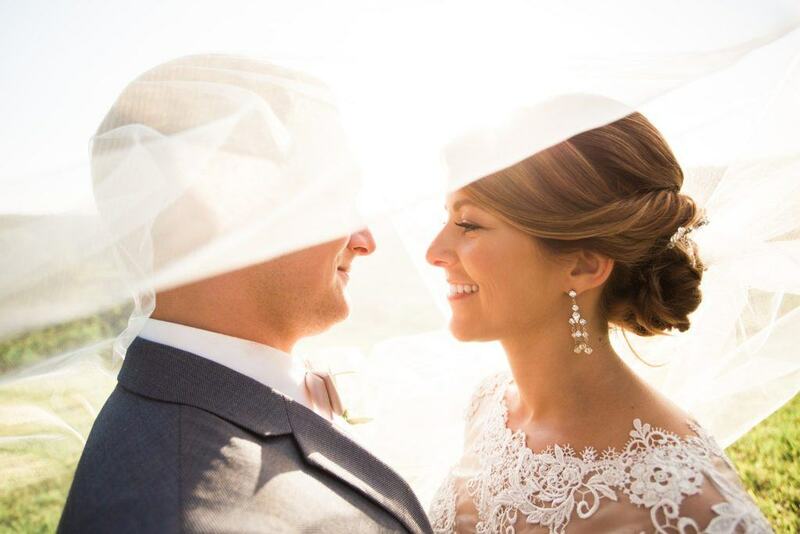 A soft up-do complimented by chandelier earrings and long raw edge veil finish Nadia’s look as she prepares to walk down the aisle. 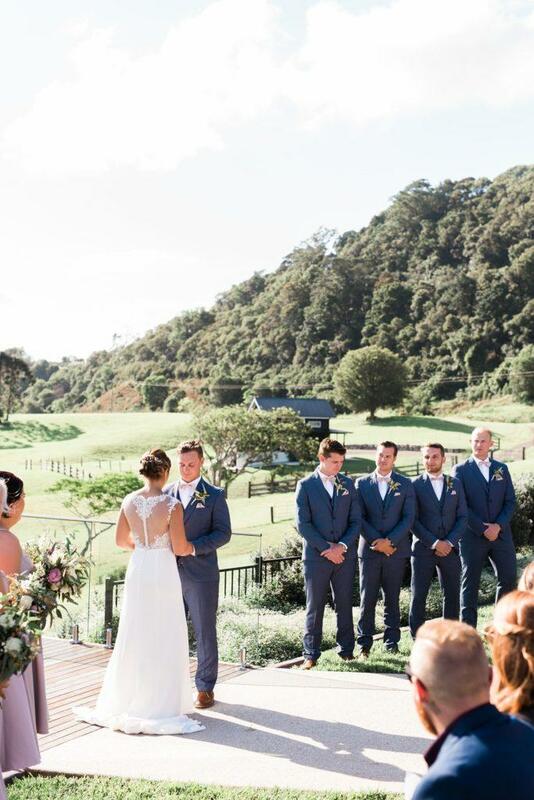 The elegance of her gown suits The Old Dairy location in Maleny to a tee. 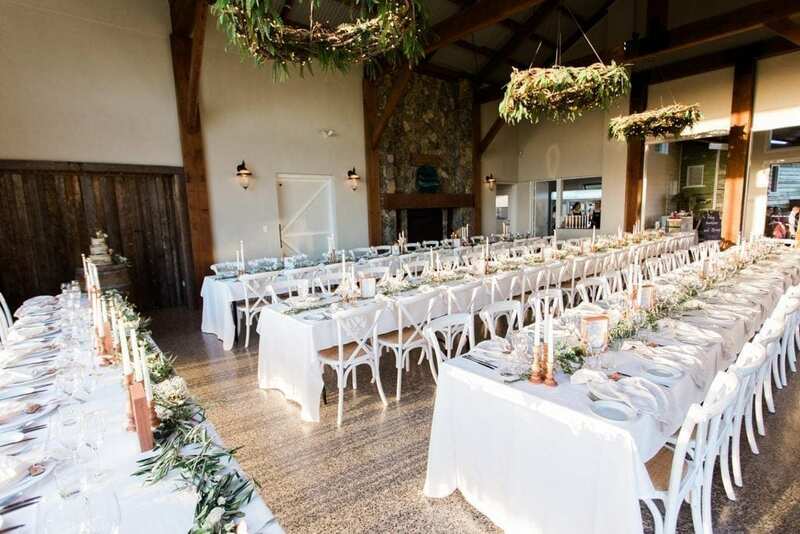 The day showcased lush greenery from the bouquets through to the reception tables. 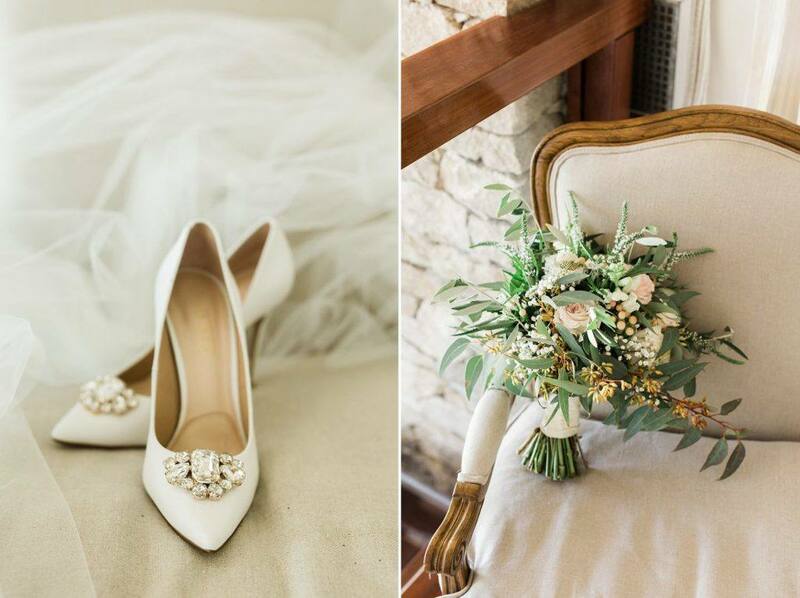 Soft, organic styling truly highlighted the rustic charm of the venue. 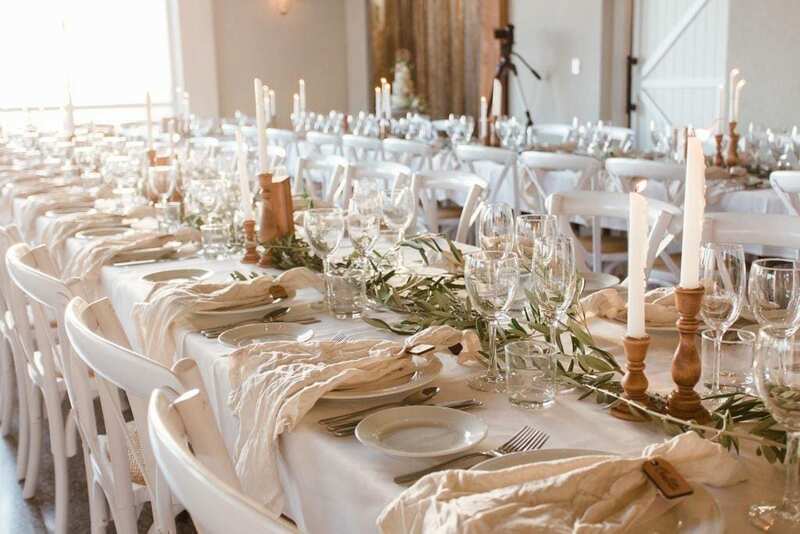 The tables were styled to perfection with neutral linen napkins, wood accents and lovely loose gum leaves. 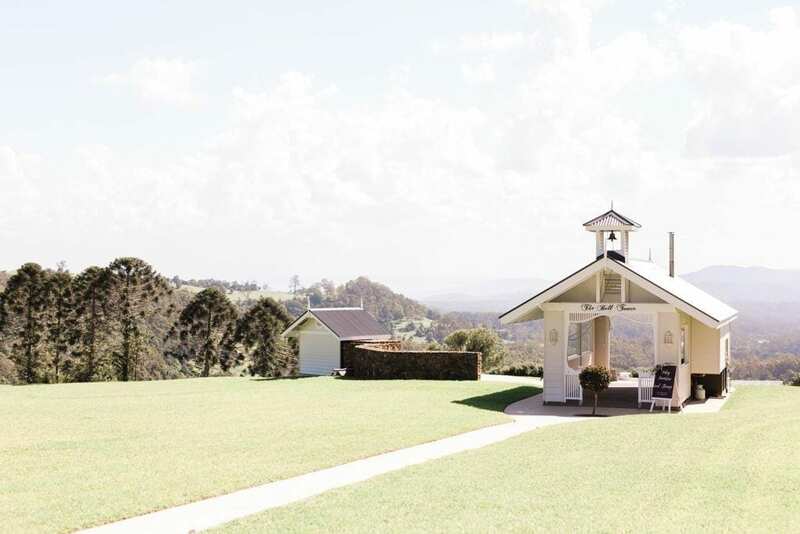 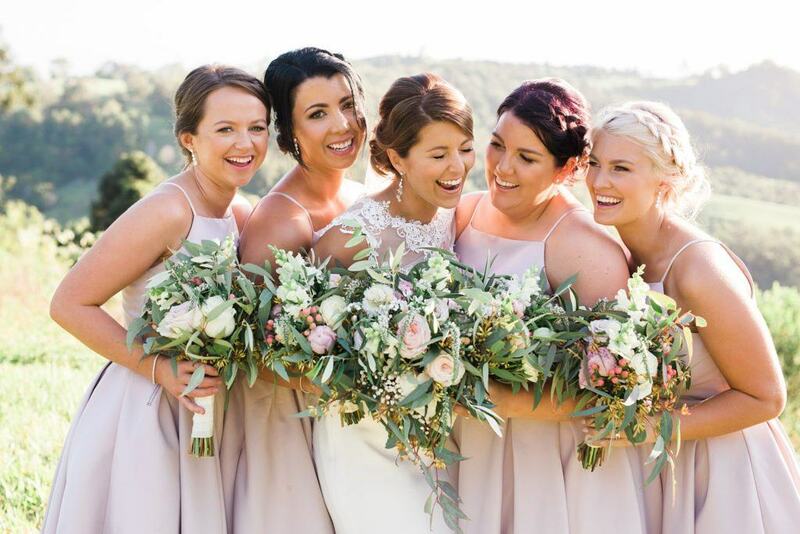 A palette of soft pastels and greens beautifully complimented Nadia’s gorgeous bridesmaids and offering a superb contrast to the rolling hills of the Sunshine Coast Hinterland.